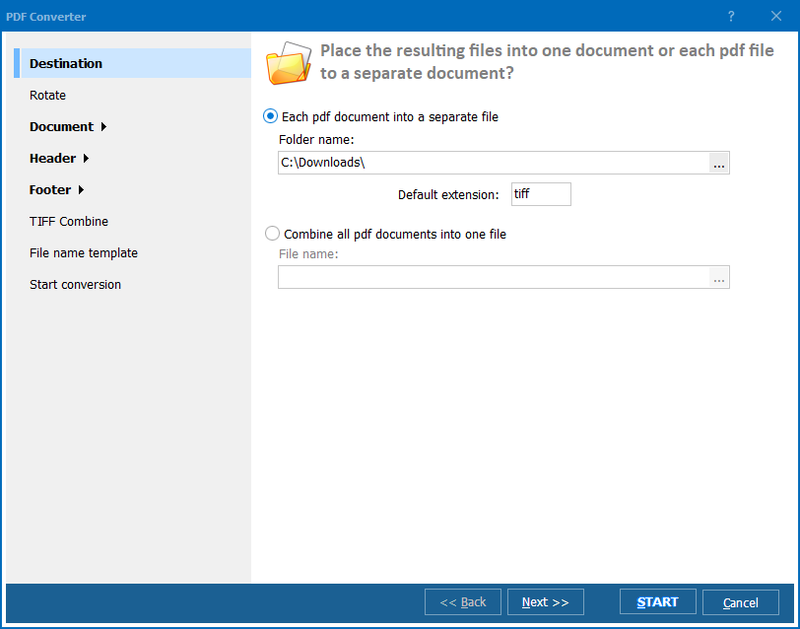 Why Use Total PDF Converter to Convert PDF to TIFF? 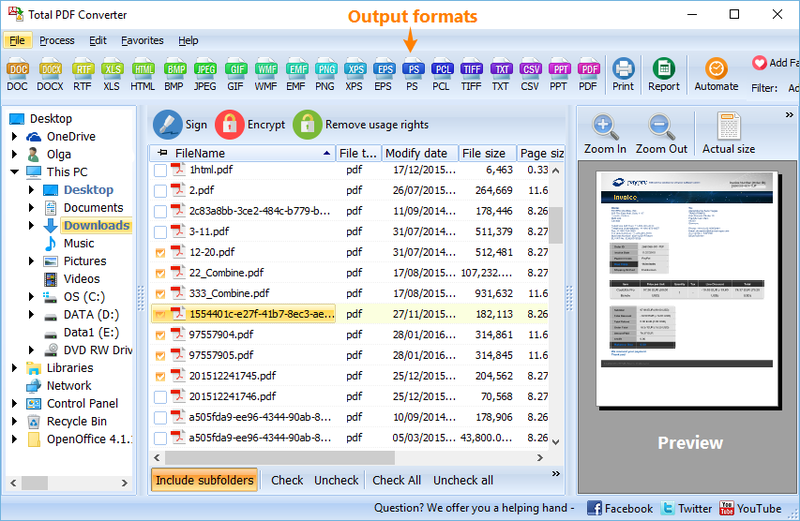 you can create a multipage TIFF file or several one-page files, by storing each original PDF page in a separate file. 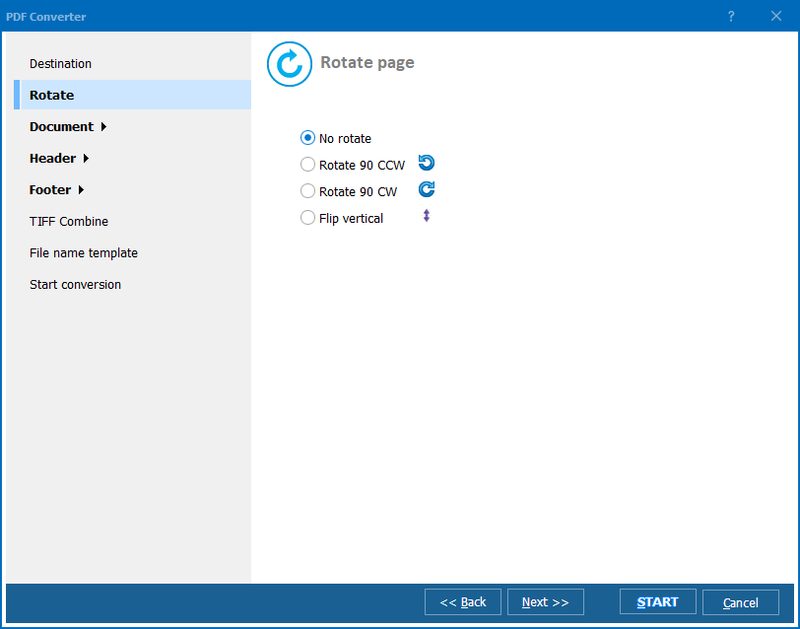 Besides, if you purchase Total PDF Converter, you get much more than a program that can convert PDF to TIFF. It supports multiple graphic file formats, and converts PDF files into BMP, JPG, GIF, PNG and other popular image formats. It also converts PDF to Word, Excel, HTML, TXT and CSV, all for $39.90.